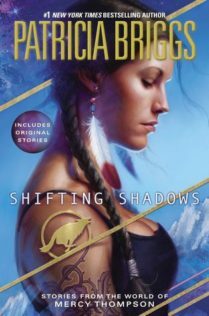 Shifting Shadows is a collection of short stories from the World of Mercy Thompson. Some feature Mercy and her friends and some do not. 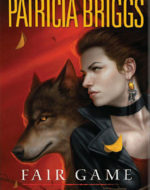 Patricia Briggs has a wonderful storyteller and she has created an interesting world of Urban Fantasy. 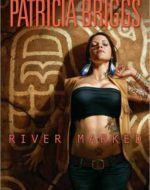 These stories give you a taste of her Mercy Thompson series, as well as several stories that don’t feature characters from her Mercy Thompson series so you can simply enjoy the stories and see if Patricia Briggs is for you. 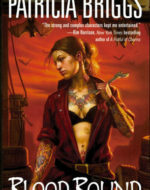 The Mercy Thompson series are told in the first person by Mercy. 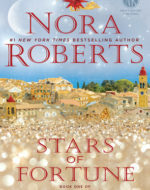 A few of these stories are fill in scenes from her books that didn’t fit since there were told by Mercy. So it gives you extras views but it will give spoilers if you haven’t reached those stories yet. We also get to spend time with Warren and Kyle as well as Ben. It is nice to get a little deeper into these characters. Ben is challenged to not swear for a month and it is quite entertaining to see him almost struggle to speak without his expletives. There is a back story on Samuel and Ariana. As you can probably guess, Alpha and Omega is the novella which began the Alpha and Omega spinoff series. We never spent much time with Charles in any of Mercy’s book but we kind of knew him as Bran’s scary powerful and unsocial son. I hadn’t jumped on his spin off but now I have picked up the first three audiobooks in this series and am looking forward to those. The remaining stories involve vampires, ghosts, witches and fae which will all follow the world building rules which is presented in the Mercy Thompson series. These were all very entertaining stories. It reminded me of Stephen King novels when he would give you a full back story on a character who was just crossing the street (and about to be killed), but by the time King killed off the guy, you were so intrigued and invested in this guy you were sad he died. I enjoyed these little peeks in the windows of others who live in Mercy’s world. 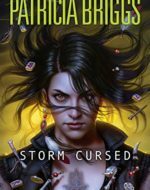 I found it interesting that Patricia Briggs gives a brief description of what prompted the story or what guidelines she was presented in the previously published stories. For example, for the story Gray , she needed to write a story featuring a color and a holiday. It is interesting the stories that are created for the different anthologies that these stories were originally part of. 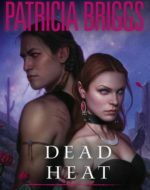 I am a big fan of Patricia Briggs’ writing and Mercy Thompson and friends. So I enjoyed all the stories presented in this collection. 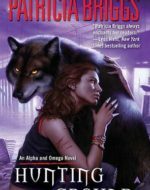 If you are looking for a new paranormal/urban fantasy author, this would be a great way to check out Patricia’s work without making the full commitment to an entire series. I have listened to this entire series by audiobook. 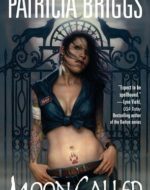 Lorelei King brings Mercy and the gang to life for me. She has a very natural narration style and gives voice to a cast of characters. This was my first time listening to Alexander Cendese, but I thought he did a wonderful job narrating for Samuel and for David. 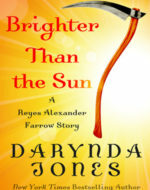 Received a review audiobook from Brilliance audio in exchange for an honest review. 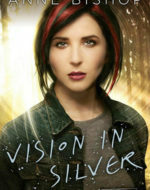 Silver This is probably the only depressing story I’ve ever written, and it was a hard story to write. This covers how Bran and Samuel were first made into werewolves, and how Samuel first fell in love with the Ariana. Of course, as we learned in Silver Borne, things have to take a tragic turn. Roses in Winter A young girl survives a werewolf attack, and is transformed into a werewolf. When she wasn’t able to control the wolf, she was moved to Bran’s pack. The law is absolute: if a werewolf cannot learn to control the wolf, they must be destroyed for the safety of all. With hope fading, Asil intervenes. Redemption Ben’s got a quick temper, and a quicker tongue. He’s also made a bet that he can stop swearing for a week, and it just might change his life. Outtake Two A bit that I wrote in Adam’s viewpoint for Night Broken. He leaned suddenly forward, knocking his chair over as he swept her off of her own and stood her on her feet. She’d thought she was used to the speed and strength of the wolves, but he stole her breath. As she stood still and shocked, he prowled around her until he came back around the front and kissed her, a long, dark, deep kiss that left her breathless for another reason entirely. Hurt, she flinched away from him. He made her sound special, but she knew he was lying. He sounded like he was telling the truth, but she was no prize. She was nothing. For three years she had been nothing. He made her feel special today, but she knew better. She blinked back tears, and, unable to resist his command, raised her eyes to glare at him. Something happened to his face, an emotion she didn’t know him well enough to read, except to know that it was strong. When he spoke it was with the visible effort, as if his throat had tightened. “Most werewolves find someone they love, get married, and spend a long time with their spouse before the wolf accepts her as his mate.” He dropped her gaze and turned away, walking across the room and giving her his back. Without the warmth of his body, she felt cold and alone. Scared. “I am so tired of being ignorant,” she spat, suddenly hugely angry. “You’ve changed all the rules on me—so you can damned well tell me what the new rules are.” As abruptly as the anger had come, it was gone, leaving her shaky and on the verge of tears.